We don't just build structures. In our 33 years, we've also built a reputation for integrity and excellence. Experience matters … and we have one of the broadest portfolios of any similarly sized prime contractor. This benefits your project from concept to completion. You'll get knowledgeable advice in your pre-construction, astute recommendations for value engineering, thorough estimates, accurate budgets, innovative solutions and a schedule that responds to the needs of your stakeholders and occupants. But our dedication matters too. We are a team of construction professionals who truly care about you and the success of your project. We're thinkers, dreamers, doers … and problem solvers. But ultimately our success stems from the fact that we're listeners. We embrace your goals. Construction isn't about our portfolio. Construction is about you. Ed is the fourth generation in a family of commercial contractors; in some respects, Ed's been in construction all of his life. 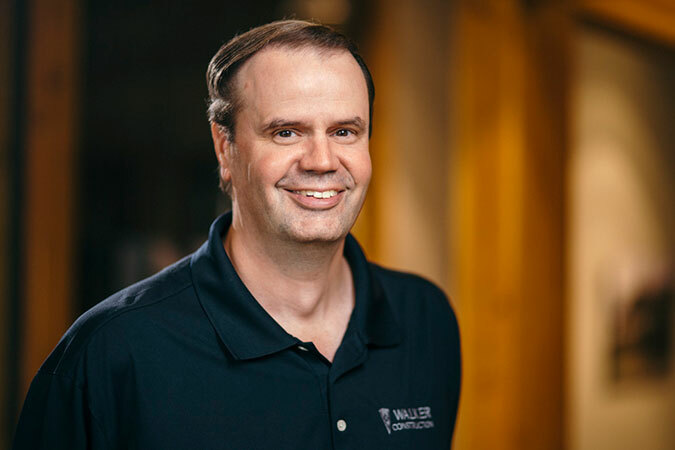 With over 25 years at Walker Construction, he's successfully completed large, complex, community-driven projects, like the The Fox Theater and the Rockwood Summit Tower and has recently begun his 103rd project at Gonzaga University. Ed thrives on managing enormous levels of detail but he's also a great communicator and an inspirational leader. He'll thoroughly embrace an owners goals and empower his team to go above and beyond in achieving them. Justin has 18 years of construction experience — 17 of those with Walker Construction. His project portfolio covers just about every type of build but he's developed special expertise with industrial projects and K-12 schools. 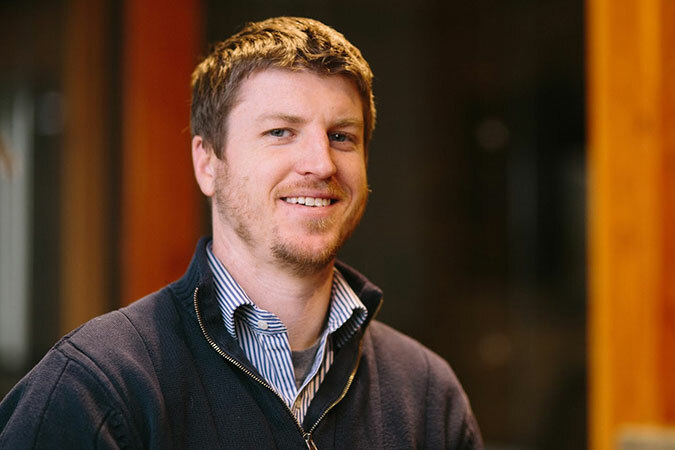 Justin has extensive background in GC/CM — in fact, he managed one of the Pilot GC/CM projects in Washington state. 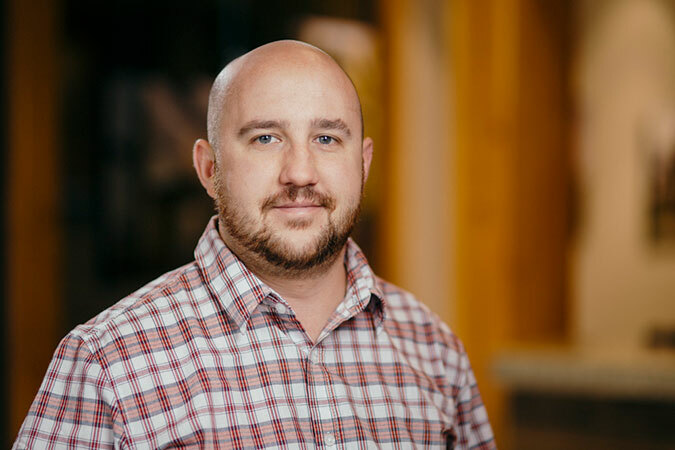 Justin's expertise in the area of structural concrete has made him invaluable as an estimator or project manager on some of our most complex concrete jobs. Justin is a profoundly solutions driven contractor — he loves finding the perfect, innovative answer to a construction challenge. Jon has 27 years of construction experience — all with Walker Construction — and he's achieved a broad portfolio. In the past decade, Jon has specialized in sustainable, affordable housing construction where he's earned a reputation for excellence and innovation. He's developed a unique approach to occupied renovation that has set the standard for this type of construction throughout the region. With a background as an active duty and reserve Marine Sergeant Major, Jon has always embraced an ethic of service. He provides project leadership that emphasizes communication, transparency and teamwork. Bill has over 30 years of construction experience - providing significant depth to the projects he manages. He is skilled at conceptual estimates, budgeting, design-build projects, value engineering, schedule development, contract negotiations and administration. Bill is able to provide leadership in a wide range of construction and development projects varying in size and complexity. 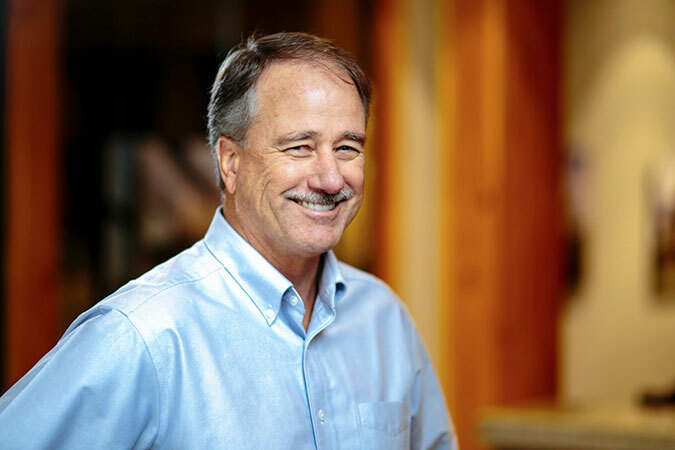 He has managed significant Spokane projects including the North Spokane YMCA, the renovation of the downtown STA Plaza, and the Regal Office building. Bill's wide-ranged experience makes him an excellent team member. Derrick has contributed to the success of some of our largest jobs. 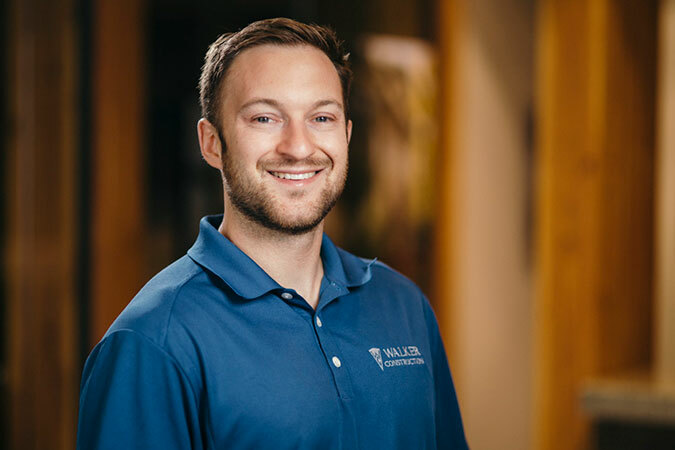 With 7 years of construction experience, he enjoys being able to process a tremendous amount of detailed information in order to return robust solutions to a project's challenges. He also has significant expertise with structural concrete. He was part of the site leadership team at the Rockwood Summit Tower — Spokane's most intricate post-tension tower to date — and is now adding his expertise to the team that is renovating the Macy's Building in downtown Spokane. Derrick is a possibilities thinker who thrives under pressure and is at ease with complexity. 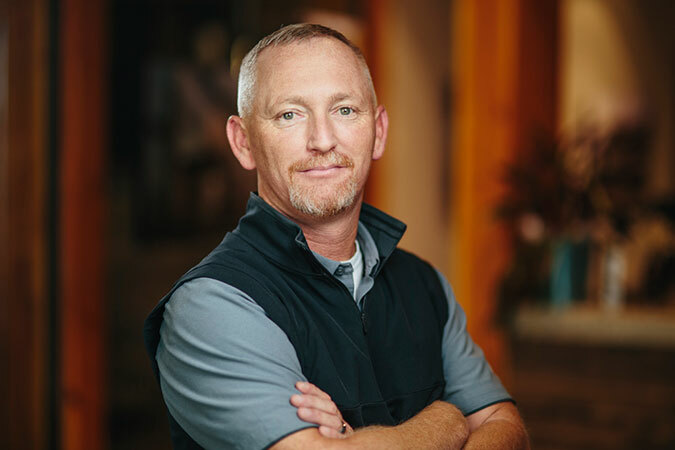 Dave is a highly valued member of Walker Construction's leadership team, having been part of some of our most significant and complex projects. 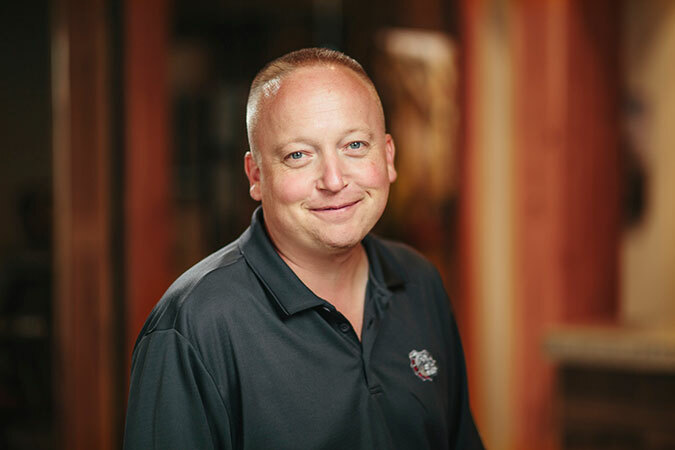 Dave's 7 years' construction experience spans a range of builds including higher education, K-12 and STEM projects with an emphasis on tilt panel construction and structural concrete. Dave is highly motivated and a great communicator; his leadership inspires others to perform at their best. His passion for construction is such that he even does it in his "off" hours by volunteering his construction expertise for non-profit organizations. Frank has almost 20 years of construction experience. His background in commercial as well as affordable housing and multi-family home construction has made him one of the top professionals in the region for this type of build. He's a budget geek — and loves to track numbers and cost trajectories like the project's money was his own. Frank is based in Tri-Cities, which allows him to be part of our program of service to our many central Washington clients. He's a great communicator and a creative thinker, but what's most impressive about Frank is his heart. He goes to work with a purpose, and he's passionate about building homes for people in need. 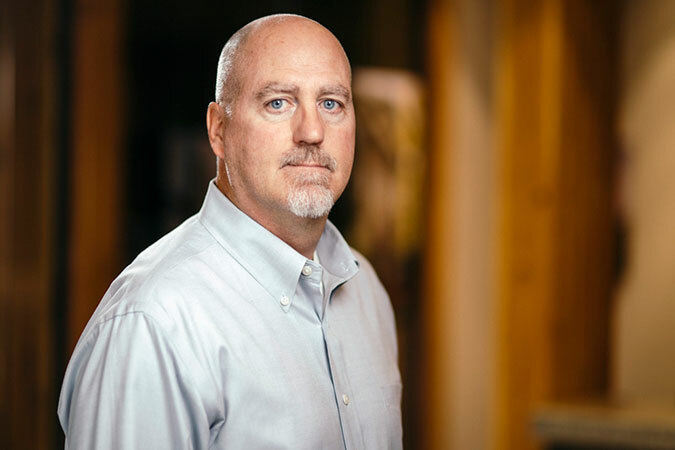 Greg’s construction experience ranges from office interior renovations, large government projects, data centers, television studios, and hotels. His experience in tenant interior spaces has helped to shape his ability to perform detailed coordination of multiple facets of construction from specialty lighting fixtures to case work under very tight schedules. Having grown up with a dad who was both a carpenter and an architect, Greg combines his love for history with the construction “in his blood”. His studies of the stories of our past and the buildings in those stories that have been a major part of how we lived and flourished create a beautiful connection into the future as we continue to build our stories. Our field crews are a cut above. We hire people who are not only skilled tradesmen and women, but who also embrace our values and culture. On one hand, they have experience with all type of self-performed concrete work from pouring a complex post-tension deck to maneuvering 30,000 pound forming tables. But many of them are skilled carpenters with a level of woodworking and finishing artistry that's up to the most exacting historic restoration. These people are sincere, hardworking and professional. We're proud of the work they do.